The store site on Robson Street has increased in value by $69.1 million since 2016 making property taxes for the business owners unaffordable. 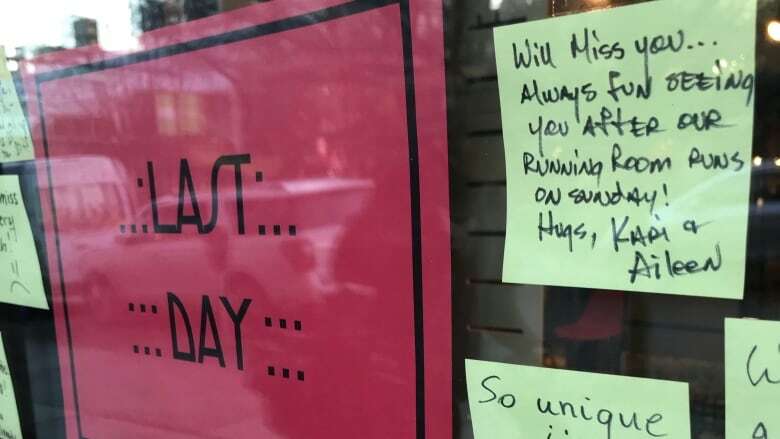 A West End store that was once at the heart of the neighbourhood has collapsed under the weight of skyrocketing property taxes in Vancouver. 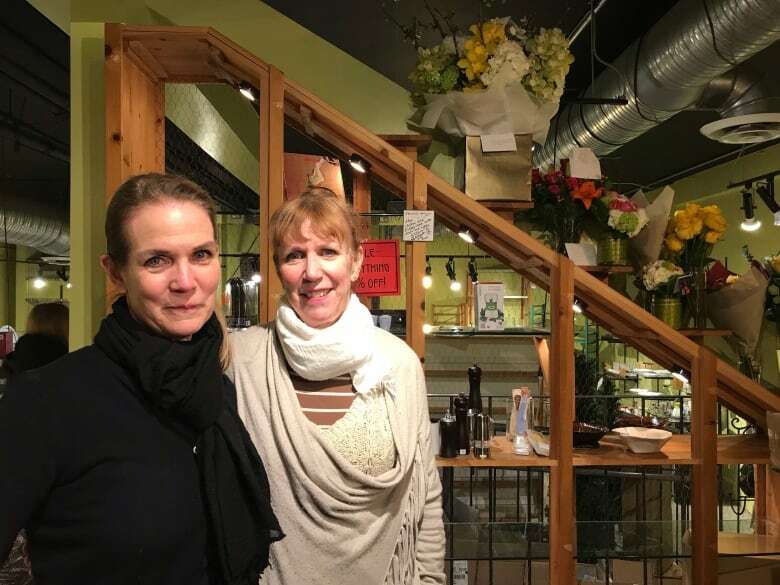 The Chocolate Mousse Kitchenware store, owned and operated for 32 years by sisters Karen and Jane Tennant, closed its doors for the last time this week. The store site on Robson Street near Cardero has increased in value by $69.1 million since 2016, according the city of Vancouver, pushing up property taxes for the Tennant sisters until they could no longer afford to pay them along with their rent. The Tennants spent a busy and emotional final day in the store on Wednesday; selling off the final items in stock and saying goodbye to a flurry of loyal customers and neighbours who stopped in to wave them off. "The business is hobbled and if it wasn't for the support of our customers we probably would have gone bankrupt," said Jane Tennant. "The West End is really changing, not for the good, I liked it simpler and quieter with small independent companies and owners instead of big-box stores and condos," she said. Customer Neall Ireland volunteered to help the Tennants with the store's closing sale. He said Chocolate Mousse Kitchenware has been more than a quirky shop, it has long been a social hub for locals. "This is the West End deteriorating because we're losing an important store that is part of our community,' he said. The Tennant sisters had a so-called "triple net" commercial lease on their store. This meant that the property owners didn't pay the property tax. Instead, the Tennants were on the hook for both rent and taxes. Rezoning for increased density in the West End has meant that properties in the neighbourhood are valued based on potential rather than current density. The site the Tennants lease could potentially house a 32-storey building and the property taxes have grown to reflect that potential. The City of Vancouver released a statement that said the practice of passing all taxes, including those on development potential, onto renters is "unfair and punitive." The statement said the City will try to smooth out big hikes in taxes by using average land assessments over a five-year period to calculate property taxes. It currently uses a three-year average. The statement said that development speculation is continuing to drive up property prices in the West End.